The International Tribunal for the Law of Sea [ITLOS] today, asked both India and Italy to suspend all court proceedings and to refrain from initiating new ones which might aggravate or extend the dispute or might jeopardize or prejudice the carrying out of any decision which the arbitral tribunal may render in future. It also asked both countriesto submit to an initialreport on compliance with the measure prescribed before 24 September 2015. 15 judges including the President of the tribunal was in favour of granting the provisional measures, while 6 others which includes the Vice President, dissented. 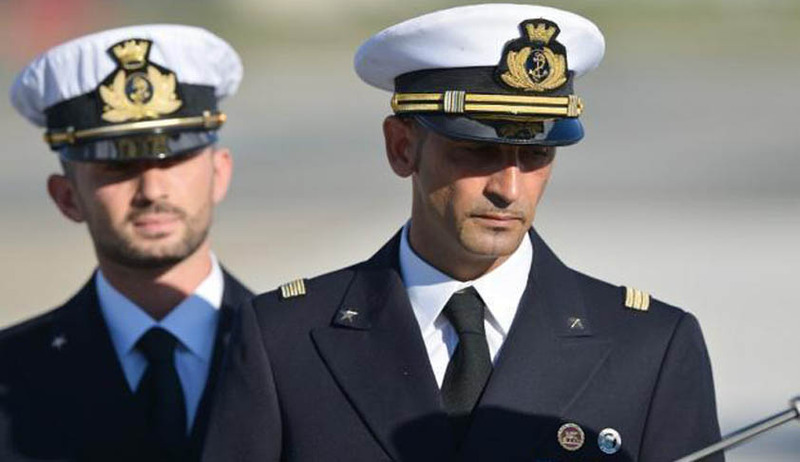 Curiously, the Tribunal order also says that it is not ordering provisional measures in respect of the situation of the two Marines because“that touches upon issues related to the merits of the case.” The Tribunal in its 27 page order, says that it does not consider the submissions by Italy appropriate and it is prescribing measures different from those requested. The Tribunal is of the opinion that, if the provisional measures as requested by Italy is granted, it will not equally preserve the respective rights of both Parties until the constitution of the Tribunal. Tribunal understands grief of families of Killed and ‘Killers’ ? The tribunal also said it is aware of the grief and suffering of the families of the two Indian fishermen who were killed and also of the “consequences that the lengthy restrictions on liberty entail for the two Marines and their families”. It said “the present Order in no way prejudges the question of the jurisdiction of the arbitral tribunal to deal with the merits of the case or relating to the merits themselves, and leaves unaffected the rights of Italy and India”. In his dissenting opinion, Judge P. Chandrashekara Rao said that there is no “urgency” such as that required to justify the exercise of the power to prescribe provisional measures. He said “Though it appears that the measure prescribed by the Tribunal is addressed to both parties, it is actually addressed only to India.”Judge Lucky concurring with dissent expressed by Judge Rao said“I find that prima facie the Annex VII arbitral tribunal to be constituted would not have jurisdiction, the matter is not urgent, local remedies have not been exhausted and an abuse of process is evident.” Explaining the reason why he thinks there is no urgency factor, he says “I must say that the Supreme Court is rather accommodating, lenient and benevolent in this matter. The marine currently in India is housed at the residence of the Italian Ambassador, he is on bail notwithstanding that in India persons on a charge of murder are not entitled to bail. In other words Murder is not a boilable offence. This fortifies my view that the matter cannot be deemed urgent. The integrity of the Indian criminal justice system and the Supreme Court must be respected”. Judge Heider, concurred with the majority view that prima facie Tribunal has jurisdiction over the issue, however dissented with its granting of Provisional measures as he sees no “urgency” in the matter. Dissenting opinions of Judges Bouguetaia and Ndiaye are not available in English. Italy had submitted their notification before the tribunal on 26th June, this year. As India, did not reply to this notification, Italy on 21st July submitted before the tribunal, its request for the prescription of provisional measures against India. Thereafter, on 6th August, India submitted its response as written observations.The Tribunal had heard both countries on August 10 and 11. Live Law had covered the hearing and the submissions made by both countries.